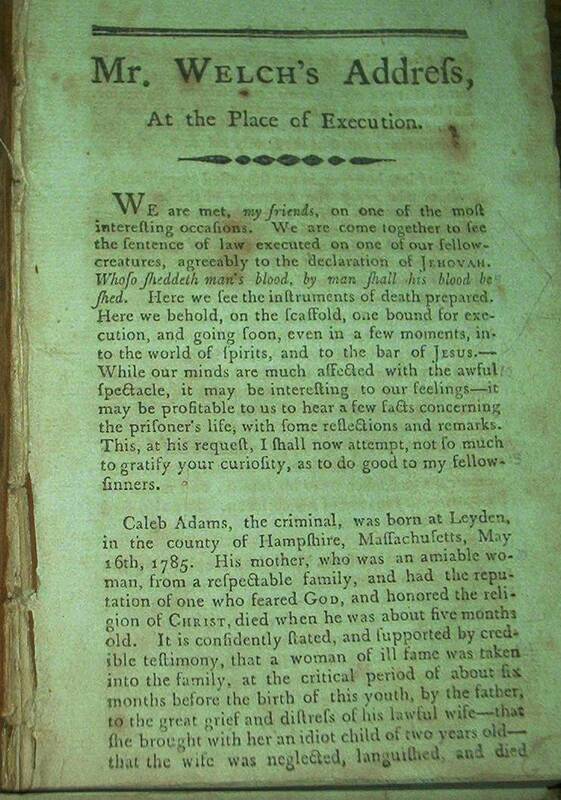 The image above is a photograph of the section of the book called "A Sketch of the Circumstances of the Birth, Education, and Manner of Caleb's Life; with practical Reflections, delivered at the place of Execution. By Moses C. Welch, A.M. Pastor of a Church in Mansfield." To view the text version, click here.